Studying for the LSAT? It doesn't matter if you're taking a course or studying on your own, these FREE tools will help you study better and improve your score! Find out the LSAT test dates so you know when you can take the test, and the registration deadlines so you can make sure you don't miss your chance by checking out our list of upcoming LSAT Test Dates. 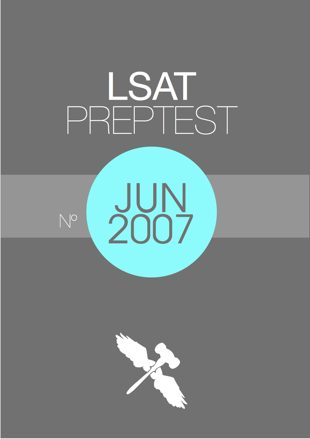 Get the June 2007 LSAT for free from LSAC. LSAC is the organization that runs the LSAT. This is the newest test that is freely available. 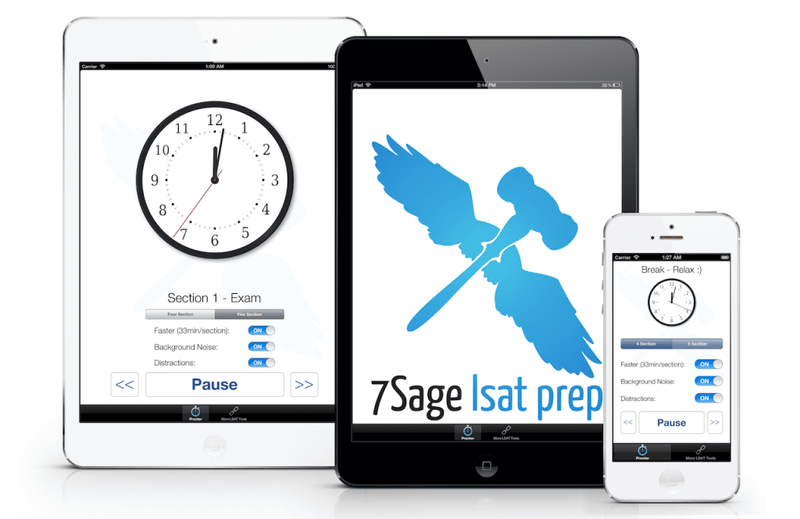 We made an LSAT App for iPhone/iPad/iPod just for you ;) It's designed to be easy to use, while including all the features we knew were important from teaching thousands of LSAT students. Simulate the LSAT test environment perfectly, anytime, anywhere. This includes procedurally generated distraction noises, turbo mode, realistic virtual timer, five minute warnings, real instructions, and more. The app also includes a grader, all the logic game explanations, access to your course, and more! If you like it, rate it five stars! Below you will hear the official instructions given to LSAT proctors by the LSAC. This is what proctors use to run things on test day. Listen to these instructions being read aloud and you’ll know exactly what is allowed and not allowed on test day. The Pre-Test Proctor is optional - it's what proctors will say before the exam. Listen to it at least once to simulate the long wait time before starting for the real exam, but you definitely don't need to do it every time. If you are using a PrepTest with four sections, use the Four Section Proctor. Similarly, if you are using a PrepTest with five sections, use the Five Section Proctor. This is the answer sheet you will be using on the day of the LSAT. Transferring your answers from the test to the answer sheet takes 2-3 minutes. So if you don't bubble your answer onto the answer sheet, you're giving yourself extra time, and test day will be a shock. You can use this to print as many copies as you want. You should use this answer sheet even if you are only doing one timed LSAT section. 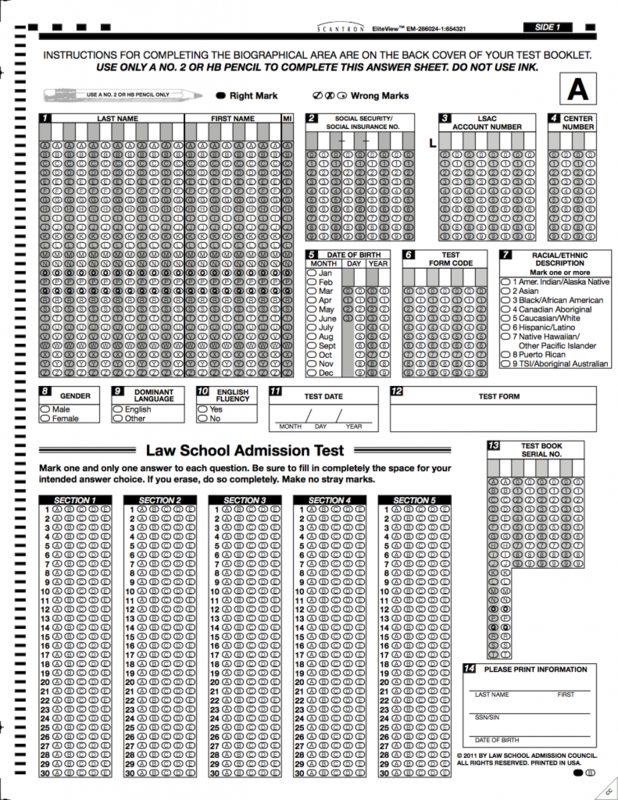 Just click on the LSAT answer sheet to open the full file and press ctrl-p or cmd-p to print it. Use this free Practice LSAT Prep Test Exam Scorer / Grader to find your LSAT score, track your progress with charts, find out what you should focus on, and find problem explanations. Perfect tool for online LSAT preparation. Learn how to convert your score into your real LSAT Prep Test Exam score and percentile with this handy chart. See the top law schools rankings from year to year in our chart in full technicolor. We also have a chart of the 25th percentile, median, and 75th percentile admitted student LSAT/GPA for many top law schools, and a LSDAS GPA calculator to estimate what your GPA translates to as far as law schools are concerned. Start in less than 10 seconds.